The year 2018 turned out to be quite interesting for the oil and gas industry. As projected at the end of 2017, 2018 was said to be the ‘year of recovery in oil and gas’ and it did reach a level of stability with the rising oil prices and growth of recruitment across the industry. Despite these observations, the intrinsic volatility in this sector poses constant challenges. The oil and gas industry analysis of the last year has set certain precedents and the companies need to create an informed outlook for 2019 to prepare better for the challenges and gain from the opportunities. Following a year of dramatic dynamics in geopolitics, trade and economic policies, 2019 could be an eventful year. Here’s the oil and gas industry analysis for an insight into the emerging trends. It is expected that geopolitical conflicts in some of the world’s major resource producing regions could get more intense in 2019. As the US sanctions bite into Iran’s oil exports, they will put the Middle East at the forefront of these risks. The oil and gas industry would need to keep a close watch on the ripple effect of sanctions on the global crude market. A wave of social reforms occurred in Saudi Arabia in recent times. However, the world is not ignorant about the actions of Riyadh’s political elite which have always invited criticism and scrutiny. If the social reforms backfire, Middle East’s largest oil producer can emerge as a grave concern. The evolving contours of the US-Russia bilateral relationship also hold the potential to impact the crude market considerably. 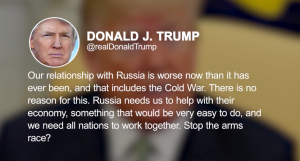 The traditional areas of US influence in the Middle East are being increasingly encroached upon by Russia. Clashes between the world’s largest producer of energy and the biggest consumer of crude are turning out to be in a manner not observed since the Cold War. Owing to escalating trade tensions between the world’s largest economies, the market expects China’s economy to slow down. 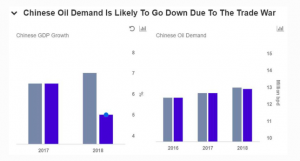 At the same time, the Chinese are diversifying their resource base and the US crude is being diverted to other customers in Asia. Can the US afford to lose Asia’s biggest oil consumer? The global oil market will have to wait for the answers to unfold. A further in-depth oil and gas industry analysis will open up new dimensions. 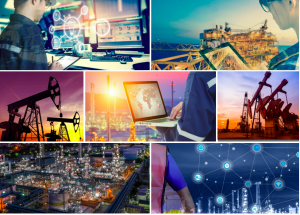 In modern times, digital is seen as a powerful enabler in oil and gas to bring down costs, make faster and better decisions, and to increase workforce efficiency. Oil and gas industry analysis indicates that the companies are coming up with new business models to make the most of digital technologies. From rigs to retail, the industry is experiencing a digital revolution. However, for most oil and gas companies, it remains difficult to translate digital disruption into better growth prospects. Oil and gas industry analysis has provided enough evidence. The change has been initiated. 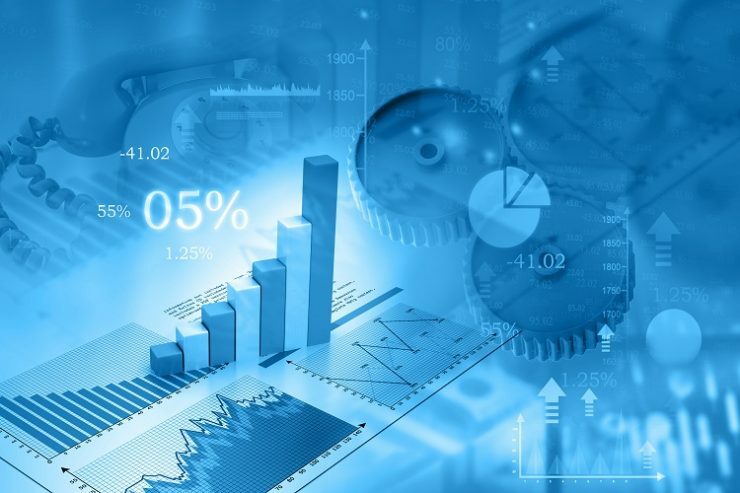 Artificial Intelligence, Big Data and Blockchain have set the stage for enhanced efficiencies. From drones to machine learning, the industry has started to define new digital advances. 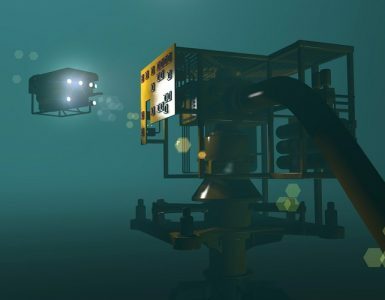 It will be interesting to see how these technological breakthroughs shape the future of Oil and Gas. 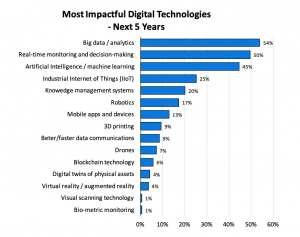 Oil and gas industry analysis highlights some of the most impactful digital technologies for the next 5 years. Qatar’s OPEC exit: Symbolic or a big deal? As stated by Saad Al Kaabi, Qatar’s Energy Minister, ending the 57-year old membership has been a tough call for Qatar. But he noted that the country’s impact on the OPEC’s production decisions will be small as it represents just 2% of its total oil production. It is natural gas that is the cornerstone of Qatar’s economy with the country’s position as the world’s second largest LNG producer. Going forward, Qatar plans to boost its LNG capacity to 110 million tonnes a year, by early 2024. Qatar’s withdrawal from OPEC has raised questions over the future of the organization and how much influence it will exercise on the global stage. Any further oil and gas industry analysis would require the inclusion of this event. Oil and gas industry analysis can never be complete without considering the oil prices and the factors affecting them. 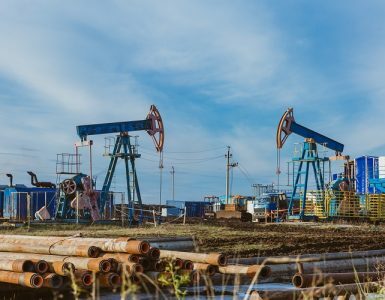 Owing to increasing volumes of US shale oil reaching the market, falling production costs, and uncertainty enveloping the pace of global oil demand surge, Goldman Sachs has released the average Brent crude forecast as $62.5 per barrel. Brent spot prices are expected to average $62.5/b this year, down from $70/b previously, with US benchmark WTI seen averaging $55.5/b, down from a $64.5/b, Goldman said. The bank’s respective oil price forecasts for 2020 are unchanged at $60/b and $54.5/b. However, predicting the oil prices has always been a tough nut to crack. It is unlikely that the volatility will go away with factors dominating the world of oil and gas presently – US shale boom, OPEC supply cuts, geopolitical tensions, technological breakthroughs, Qatar’s exit from OPEC, US Sanctions, trade wars, and emerging economic policies. The oil and gas industry analysis will have to follow the bulls and bears driving the prices. Prospects 2019: Are the good times returning? 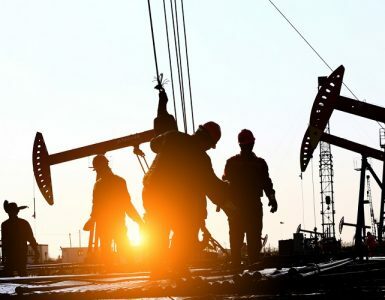 According to Deloitte’s detailed oil and gas industry analysis, there is a renewed confidence in the oil markets with expectations for enhanced economic growth, investment and commodity prices. These positive fundamentals have the potential to support growth in the near term of around 2.5 to 3 percent (even with the current tariffs in place). But this optimism is not without the ifs and buts. “What happens when the impact from the stimulus begins to fade away in the coming years? What if interest rates continue to rise, dampening both investment and consumer demand? Oil and gas industry analysis reveals that the sector is exposed to varying levels of vulnerability with respect to these dynamics. Deloitte’s detailed oil and gas industry analysis survey also draws the much-needed attention on sustainability. Climate change is a global challenge. To address this challenge, oil and gas companies are gearing up for a lower carbon footprint. How this 2019 energy conversation around sustainability takes shape is something that will put the industry in a new light. Every year, oil and gas industry analysis speaks of the inherent volatility in oil & gas. The ongoing trends, prospects, and emerging concerns call for an ecosystem that can survive the fluctuations in the global market. Frequent shocks due to oil prices, geopolitics, trade wars, and so on can render the oil economy into a state of oblivion. Against this background, Energy Dais arrives as a much-needed intervention. With the larger goal of simplifying energy, this online collaborative platform aims at “creating a sustainable environment for the entire oil & gas industry to act as one and create efficiencies through collaborative cross-border linkages”. Energy Dais has also initiated an informed conversation around oil and gas industry analysis for better insight and perspective. 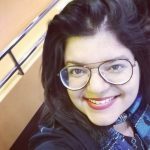 Taking cues from the oil and gas industry analysis for 2018, Energy Dais can be an effective changemaker in oil and gas, not just in 2019 but for the times to come. To be a part of this global movement, click here.